Overfinch takes luxury to the next level in the 2018 Range Rover. Distinguishing the 2018 Overfinch Range Rover ‘s exterior is a more aggressive front-end that incorporates an exposed carbon fiber air dam and the tuner’s signature LED running lights. At the rear, Overfinch has added a new and improved diffuser complemented with subtly engraved exhaust tips, while the color coding, sill mouldings and bespoke palette offer a greater level of personalization than before. It’s the new interior upgrades that really set the 2018 Overfinch Range Rover apart, however. The wider seats are crafted in “the finest of British leathers” with a huge range of trim and enhancement options available, and feature deeper cushioning for increased comfort. Passengers can also relax in the back with heated arm and footrests, recline and massage functions, and noise-reducing thickened glass providing a refined ride. 4G WiFi and a range of apps allowing smartphone control are also available on Overfinch's latest generation infotainment system. Overfinch’s enhancements come in addition to the standard Range Rover updates that include optional pixel-laser headlights and simplified taillights. “For over 40 years Overfinch enthusiasts have received our latest creations with great excitement and the 2018 model year will be no exception because they will have more choice than ever before to create a personalised vehicle,” Overfinch Chairman Kevin Sloane said. “When our enhancements are coupled with the design and engineering updates made to the standard Land Rover vehicle, this Overfinch conversion will be the most luxurious SUV to date. 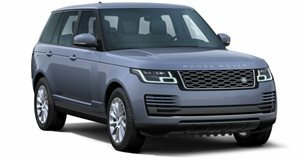 The visual impact of the vehicle has been maximised giving it a stronger on-road presence with an interior enjoying elevated levels of sophistication Such bespoke craftsmanship is synonymous with Overfinch and the result of the 2018 model year is a distinctive, elegant interpretation of the flagship vehicle that is as exclusive as it is desirable.” Prices start from $129,500 for a 3.0 TDV6 Diesel and $144,850 for a 5.0 V8 Supercharged Petrol Autobiography. A plug-in hybrid version will be available in the US in 2019.